CNN has filed a lawsuit against the Trump administration. 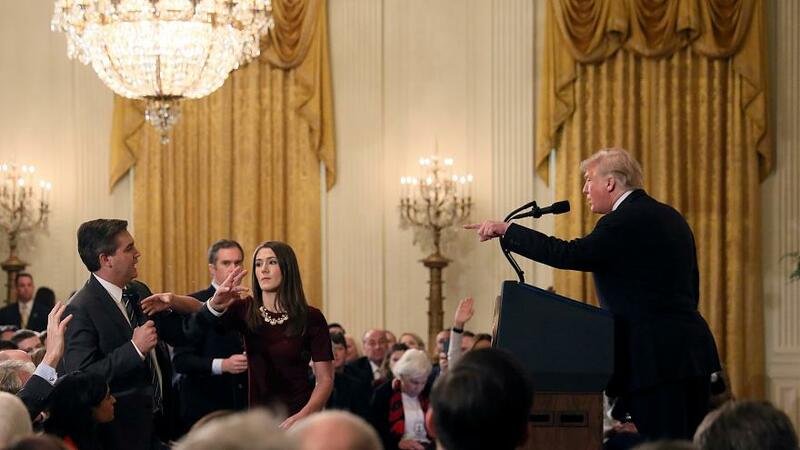 “The wrongful revocation of these credentials violates CNN and Acosta’s First Amendment rights of freedom of the press and their Fifth Amendment rights to due process,” a statement from CNN reads. The network filed the suit in a Washington, D.C. district court, according to the statement, saying they have asked for “an immediate restraining order requiring the pass be returned” to Acosta. Acosta’s questions and reporting have been a common target of criticism from Trump. The White House said last Wednesday that it was suspending the journalist’s press pass until “further notice”. The CNN correspondent irked the president by asking multiple questions at a post-midterm news conference. Acosta repeatedly challenged Trump’s characterisation of a Central American migrant caravan as an invasion. Before revoking Acosta’s pass, White House press secretary Sarah Sanders accused Acosta of putting his hands on the intern who was trying to take the microphone from him. However, video of the encounter showed Acosta pulling away as the intern took the microphone. Acosta said the White House accusations were a lie. The so-called ‘hard pass’ gave the journalist access to White House Grounds.